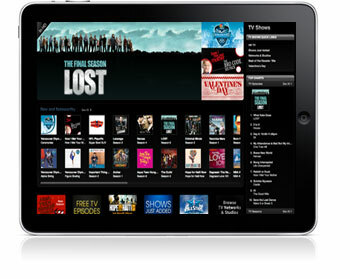 Apple to sell TV shows for $1 at iPad launch? Discussion in 'Apple iPad News' started by iDan, Feb 10, 2010. Apple could surprise iPad buyers by halving the price of TV shows on iTunes by the time the tablet is in stores, a leak hinted Wednesday night. A number of unnamed studios have supposedly agreed to repeated calls from Apple to cut the price per episode to $1 in a "test" that would gauge interest in lower-priced standard definition shows. The drop would hopefully result in disproportionately higher sales by attracting those otherwise scared off by the normal $2 price tag. Are they going to be new episodes? Not a bad price at all. I think if they kept this pricing structure permeant, it would result in more sales and more profit. I really hope this is true. I'd definitely purchase tv shows from itunes if they were 99 cents. I'd probably even considering doing away with cable and just paying for the shows I want to watch. Exactly. Plus, there'd be no more flipping through a ridiculous number of channels only to find that nothing good is on. You could actually download the shows you want to watch, when you want to watch them, and without commercials. Yes, I think 99 cents per show would be a great incentive for me to ditch cable based on these reasons alone. I'm keeping my fingers crossed that they do drop the prices. What music are you listening to right now!?!? On the road and off it too.